After the April 8th deadline an online vote will be occur being open to all youth, junior, and senior aged athletes with a closing date of April 14th. The voting and nomination process is restricted to youth , junior, senior and master athletes. Announcement of new athlete representative will be posted on April 16th. The selected Athlete Representative will begin representation at the ANB Semi-Annual General Meeting on April 18th in Moncton. Please note that while this is a volunteer position but all expenses related to this position will be covered by ANB. Barry Britt of Hampton and Ryan Cassidy of Grand Digue will be among the 23 Canadians competing in Guiyang, China for the 41st International Association of Athletics Federation (IAAF) World Cross Country Championships on Sunday March 28th. The Atlantic Indoor Track and Field Championships took place this past Saturday at the CEPS indoor running track on the Université de Moncton campus. The competition was the last of the indoor season, and with over 200 athletes and 7 provincial records set, it was certainly a great meet. - Hannah Trites of Fredericton broke the provincial midget record in the 1200m with a time of 3:47.14, beating Laura Dickinson's record of 3:48.42 set just last year. - Sophie Black of Dieppe broke her own provincial midget record in the pentathlon with a score of 2755, compared to her former record of 2545 set last year. Black had performances of 9.07 in the 60m, a height of 1.44m in the high jump, a distance of 10.15m in the shot put, a leap of 4.41m in the long jump, and a time of 2:28.91 in the 800m. Sophie also won the midget 60m hurdles with a time of 10.23, less than a quarter second off the provincial record! - Sara Miller of Grande-Digue broke her own provincial senior record in the pole vault, clearing a height of 2.65m. This bests her former record, set just last year, by 35 centimeters. - Elizabeth MacDonald of Fredericton broke her own provincial senior record in the weight throw with a distance of 16.84m, beating her former record by just 10 centimeters. MacDonald would also win the shot put with a distance of 12.13m. - Shelby MacIsaac of Riverview won the bantam girl's 60m with a time of 8.91, the 150m with a time of 22.28, and the high jump with a height of 1.39m. - Laura Dickinson of Miramichi won the youth girl's 1500m with a time of 4:51.98, the 3000m with a time of 10:30.44, and the triple jump with a leap of 8.41m. - Sara-Eve Noel of Allardville won the youth girl's shot put with a throw of 11.96m, and finished 2nd in the weight throw with a distance of 13.12m. - Ben Fowler of Saint John broke the provincial junior record in the pentathlon with a score of 3029, beating Canada Games double medalist Mitch Quigg's record of 2959 set in 2010. Ben accomplished a time of 9.04 in the 60m hurdles, a leap of 6.00m in the long jump, a distance of 11.21m in the shot put, a height of 1.74m in the high jump, and a time of 3:10..03 in the 1000m. - Bruce Rosvall of Rothesay broke his own provincial masters 50-55 record in the 200m with a time of 27.39. This beats his former record of 27.46 set just last month! Rosvall also won the masters 400m earlier in the day, and palced 2nd in the 800m. - Paul Gautier of Rothesay broke his own provincial masters 50-55 record in the shot put with a distance of 13.66m, beating his former record by just 14 centimeters. Gautier also won the weight throw with a distance of 15.99m, missing his provincial record by just 11 centimeters. - Mickyle Welsh of Riverview had an impressive run in the 60m prelims with a time of 7.60, but would later false start in the finals, but soon came back to win the youth 200m with a time of 24.33. - Brady Graves of Saint John won both the youth 800m and the 1500m with times of 2:03.77 and 4:14.80, respectively. - Braden Harrison of Fredericton won both the junior 60m with a time of 7.46, and the junior 200m with a time of 23.50; the latter certainly being an impressive time when run on the tight track at the CEPS facility. - Liam Turgeon of Tide Head won the junior men's shot put with a throw of 14.13m, missing Mitch Quigg's record by just 20 centimeters. Turgeon also finished 2nd in the weight throw with a best of 15.30m, missing the provincial record by just 80 centimeters. - Daniel Saucier of Riverview won both the senior men's 800m and 1500m with times of 2:15.00 and 5:02.78, respectively. - Steve LeBlanc of Riverview won both the master's 40-45 shot put and weight throw with distances of 8.05m and 9.41m, respectively. - Imrich Kiraly won both the master's 65-70 shot put and weight throw with distances of 9.51m and 10.32m, respectively. The latter of performances missed the provincial record by just 42 centimeters. The Atlantic Team Championships banner was won by ASEA Track Club with an astonishing total of 674 points, while Pictou Country Athletics was 2nd with a total of 363 points, and Restigouhe 3rd with a total of 288 points. The event had a higher number of clubs competing than at past championships, with 14 clubs scoring points! "This is truly a great way to finish off the indoor season; 7 provincial records and hundreds of personal bests," said Gabriel LeBlanc, Technical Director of Athletics New Brunswick. "Athletes will now have a break from competition before being back at it on the outdoor track, with events set to start in May." The next track competition to take place in the province will be the ASEA Spring Open on May 16th in Dieppe. Mar 19 2015 - Atlantics set for Saturday! The Atlantic Indoor Track and Field Championships are set to take place this Saturday at the CEPS indoor track on the Université de Moncton campus, and with over 200 athletes registered this is an event you don't want to miss! Athletes from New Brunswick, Nova-Scotia, PEI of all ages will compete in running , jumping and throwing events. - The men's pentathlon will feature 8 individuals including Ben Fowler of Saint John, silver medalist at the Canadian Indoor Championships just a month ago. Fowler will be attempting to break the provincial junior record, currently held by Canada Games double medalist Mitch Quigg at a score of 2959. - The 200m will feature several of New Brunswick's best, including recent record breaker MicKyle Welsh of Moncton, Braden Harrison of Fredericton, and Brandon LeBlanc of Riverview. - The 800m and 1500m will feature one of New Brunswick's best upcoming distance runners, Brady Graves of Saint John who won the silver medal in the 3000m at the Canadian Indoor Championships just last month. In the 1500m he will face close competition with Michael Colford of Fredericton, who finished 4th in that same 3000m. - The women's distance races will feature big names including national gold medalist Laura Dickinson of Miramichi (1500m), national bronze medalist Hannah Trites of Fredericton (1200m), CIS athlete and AUS champion Sarah Myatt of Fredericton (800m), and Taylor Dunn of Fredericton (200m, 400m, 800m). Also in action will be former Canada Games gold medalist Kurt McCormack of PEI in the Long Jump. Many more of New Brunswick's best will be competing including Legion team athletes, Canada Games team members, and national medalists! Other big names to watch include Victoria LeBlanc of Saint John (60m, 200m, long jump), Elizabeth MacDonald of Fredericton (shot put, weight throw), Sydney MacDonald of Miramichi (shot put, pentathlon), Clint Steeves of Salisbury (200m, 400m, 60m hurdles, and long jump), Pierre Landry of Saint Louis-de-Kent (pole vault, pentathlon), and Alexander Williston of Bay de Vin (60m and pentathlon); among many others. The Atlantic Championships will also be the last event of the indoor season in the province, with the outdoor season fast approaching. Last year’s team champions were Moncton based Athletics South East/Athlétisme Sud Est. They will be challenged by Pictou Athletics, Fredericton Legion Track Club, Saint John Track Club, Athletisme Restigouche, and several others. Admission is free and the completion starts at 9:30am and should be finished by 4:30pm. Athletics New Brunswick is pleased to announce that the following coaches have been chosen to take part in the 2015 coaching mentorship program. Bruce Guitard, currently coaching with Restigouche Athletics based in Charlo, Campbellton, and Dalhousie. Alex Coffin, currently coaching with the Saint John Track Club based in Saint John. Wendy Randell, currently coaching with South East Athletics based in Moncton. “It is with great pleasure that we announce this years group of Mentor Coaches. All three have been heavily involved with ANB programs over the past several years and this is another step in their development as coaches,” said high performance coach and program coordinator Jason Reindl. The coaches selected will be directed through a variety of learning opportunities including: formal learning and self-reflection, regular communication, having Reindl take part in their local practice sessions, and joining Reindl in Saint John later in the summer for some directed learning as well as coaching of other provincial athletes. “Coaches progress, learn, and improve through a variety of experiences and opportunities. The goal of this program is based on the positive impact that a coach plays in an athlete’s success. It is the goal of the program that through the direct impact of a coach there is no limit to what can be achieved. By enhancing the skills and knowledge of these coaches, there will be a long-term positive performance impact on the athletes and communities that they work with. This past weekend the Canadian Masters Indoor Championships were held in Toronto, ON. Andrew Justason of FLTC won the M40-45 Pentathlon with a new masters record of 2817pts. Good job Andrew! The Canadian Interuniversity Sport (CIS) Track and Field Championships took place this past weekend in Windsor, Ontario. 12 New Brunswickers made the trip to compete against Canada's best, and 1 provincial record was set! - Chris Robertson of Moncton, competing for Western University, finished 6th in the pentathlon with a provincial record score of 3629. Robertson's hurdle time of 8.58 just missed his own provincial record of 8.54, set last year in Toronto. Chris' other performances of 6.56m in the long jump, 11.73m for the shot put, 1.94m in the high jump, and 2:52.65 in the 1000m proved to be a excellent performance! - Sephanie Dorion of Collette, competing for Universite de Moncton, finished 6th in the high jump, clearing 1.70m on her third attempt. Lauren Taylor of Saskatchewan was the eventual winner of the event, clearing 1.82m. - Naomie Maltais of Val D'Amour, competing for Universite de Moncton, finished 9th in the weight throw with a score of 15.49m. Brittany Crew of York University won the event with a throw of 18.45m, beating out the silver medalist by exactly 1 meter. - Sarah Myatt of Fredericton, competing for the University of New Brunswick, ran an excellent 600m, finishing 10th with a time of 1:34.92; just off her personal best of 1:34.67 set last month. Rachel Francois of the University of Victoria won the event for her fourth year in a row with a time of 1:29.17. - Shawna McKay of Moncton, a rookie at Dalhousie University, finished 11th in the 300m with a time of 41.27. Sheereen Harris of York University won the event with a time of 38.97. - Clare McGarth of Woodstock, a rookie at th University of Ottawa, finished 5th as a member of her university's 4x800m relay team, finishing with a time of 9:02.16. The University of Toronto won the event with a time of 8:32.36, smashing the CIS record of 8:41.66, set by the University of Victoria in 1988. - Bridget Brennan of Hartland, competing for St. FX University, finished 11th as a member of her university's 4x400m relay team, finishing with a time of 3:56.56. - Sarah Taplin of Moncton, competing for Dalhousie University, faulted her 3 attempts in the triple jump. Taplin had came out of the AUS Championships with phenomenal performances in the triple jump and the 60m hurdles, winning gold in both events with AUS record performances. - Dan Brown of Hampton, competing for the University of New Brunswick, finished 12th in the 300m with a time of 36.08, running out of the second lane. Ayo Agusto of York University won the event with a time of 34.00, which was also a Nigerian national record. - Matt McNeil of Saint John, competing for Dalhousie University, finished 10th in 3000m with a time of 8:31.19. McNeil has had a breakthrough season this past year, competing at the CIS Championships in cross country and track, finishing 12th and 10th, respectively. The winner of the 3000m event, Ross Proudfoot of the University of Guelph, missed the CIS record by just 0.01 seconds, finishing with a time of 7:59.30. - Luke Dillman of Cole Harbour, Nova Scotia, competing for the University of New Brunswick, finished 12th in the weight throw with a best of 14.63m. Jared Skeath of the University of Guelph, won the event with a throw of 19.44m. - Jonathan Gionet of Bathurst, competing for St. Thomas University, finished 12th in the shot put with a throw of 12.54m. Peter Millman of Nova Scotia, competing for Lethbridge University, won the event with a throw of 17.18m, just 1 centimeter ahead of the silver medalist! Alexandre Coholan of Moncton, a fourth year student at Universite de Moncton, was recognized for his community involvement with the CIS Student-Athlete Community Service Award. An academic All-Canadian and Dean's List student for each of his year's at the university, Coholan is a standout in the community with involvement in many different areas, including school, sport, music, and health. "To have such great results from our province's best athletes is truly incredible, especially with two of our rookie athletes qualifying to compete at the event, and a provincial record being set" said Gabriel LeBlanc, Technical Director of Athletics New Brunswick. "To have Alexandre Coholan win the community service award is also incredible and shows that New Brunswickers are not just leading forces on the track, but also in the community." Windsor, ON - Congradulations to ANB member Alexandre Coholan who today was awarded the Student-Athlete Comunity service award for Track and field in the CIS. Coholan, a local product from Moncton, had a solid showing at the AUS championships, finishing fourth in the 600-metre final and seventh in the 300m, while helping the Aigles Bleus 4x400 relay capture a bronze medal. A fourth-year biochemistry student, Coholan has been an academic all-Canadian and a member of the Dean’s List every year since he arrived on the Moncton campus and has received numerous research and academic scholarships. An accomplished musician, he is involved in the community in a number of fields, including music, sports, education and health. The other nominees were Stephen Douglas of McGill (RSEQ), Cam Gilles of Brock (OUA) and Eric Guy of Manitoba (Canada West). 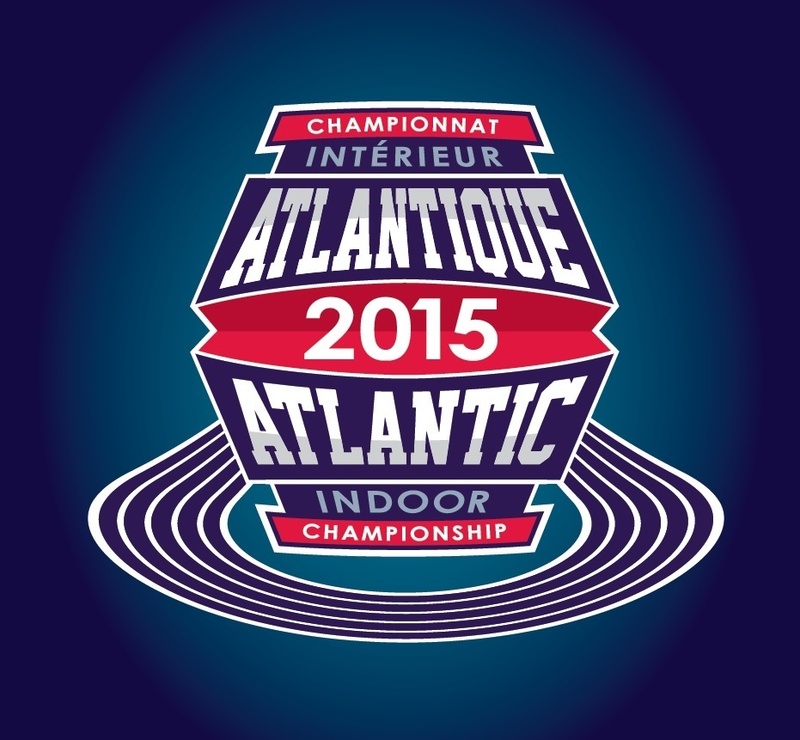 Mar 12 2015 - Volunteers & Official needed for Atlantic Indoor Championships! On Saturday March 21st, the University of Moncton CEPS (Vance Toner Stadium) will play host to the Atlantic Indoor Championships! It will likely be the largest Atlantic Indoor Championship ever and once again we ask for your support as volunteers and officials! To register for this event, we wish to initiate you to use of the Ongozah platform, a platform that is being developed for ANB by Moncton based Ongozah. There are many purposes to our adopting this platform, including the ability to keep volunteering information on our volunteers, having a site that is easily adaptable to our varied need and also engaging. In the meantime we ask that you register for the Atlantics as per the instructions below. If you encounter any difficulties, please email Marc Lalonde or online to the Ongozah team. Step 1 – Click on the following link; http://ongzh.com/1Bhlyfa This will take you to the Atlantic Championship site on the Ongozah platform. At the “People Needed” tab (up on the right side) scroll to the responsibility you wish to volunteer for. The first 8 boxes are for volunteers in preparation and running of the event, the next 6 boxes are for help at competition sites, and the last 6 boxes are for officials. By clicking the box your are interested in please click on the “yes I want to contribute” and you will activate a Sign-up pop up (or click on Sign in option for those who are already registered). Step 2 - Sign-Up (You will only need to do this step once)…where indicated, type in your first & last name, email, your selected password twice. Press “Create My Account”. A verification email will be immediately sent to your email box from The Ongozah Team welcoming you. Open it and Press “Confirm my Account”. This will now let you register on the Atlantic Championship site for your volunteer task. (The next time you come back back to this site all you will need to do is sign in with your email and password). Step 3 – Register for the task(s) you wish to volunteer for either under the “peoples Need” of the “Items Needed”. Use the two scrollers to the right to help you move downward. T&F Quiz: We have added a short 3 question T&F quiz at the bottom. If you wish to participate, take time to research if need be and type in your answers at another time. The winner will receive two bottles of wine (or equivalent in value if under 18) at the Championship. Step 4 – Once registered you will also receive an email with a calendar invitation that can be added to your personal calendar. We thank you for this extra step in registering, and hope to see you there. As usual if you have any other questions please do not hesitate to contact us at anb@anb.ca. * Also everyone that helps out at this meet will receive a free Dri-Fit T-shirt. Athletics New Brunswick is extremely proud to present the Maritime Track League! The Maritime Track League is a series of events that will offer high performance track and field competitions opportunities to athletes from New Brunswick, Nova Scotia, and Prince Edward Island! “Athletics New Brunswick, Athletics Nova Scotia, and Athletics PEI have been working on this project for the past few years and we are very excited to announce that 2015 will be the inaugural year for the series,” said Gabriel LeBlanc, Technical Director of Athletics New Brunswick. “The objective is quite simple, we want to offer local opportunities for the Maritimes’ best athletes and bring exposure to our sport. Over $2,500 will be up for grabs and we hope to increase this amount over the next few years,” added LeBlanc. The Maritime Track League (MTL) will offer interesting prize money for not only the top male and female athletes, but also for athletes with a disability. “The Maritime Track League is a great initiative for all provinces involved, and will most certainly be a great opportunity to the athletes of each province,” said Brandon LeBlanc, Athletics New Brunswick Athlete Representative. “Our province’s best athletes often need to leave the Maritimes in order to find high quality competition, thus it is with hopes that the MTL will allow these athletes to have more of a choice,” added LeBlanc. The series will span the 2015 outdoor season, incorporating meets from across the Maritimes and culminating in the Atlantic Championships in Charlottetown, taking place July 25-26th. Prizes will be awarded to the top 3 male and female athletes in the junior and senior categories. Athletes will be required to compete in any 2 of the series meets plus the Atlantic Championships to be eligible for the prize awards. Rankings will be determined based on a score calculated from percentage off of the Canadian record in each event, with the overall winners being those who have accumulated the best total score over the whole series. “This is a great endeavour. As a coach when I look at planning the competitive season there are many factors taken into account. This league will address many of them, allowing our athletes to compete locally and provide the incentive that should bring out the best of the best. I believe this will be a huge benefit to our athletes. Our provincial leaders and meet directors should be commended for supporting this,” said High Performance Coach Jason Reindl. The Canadian Interuniversity Sport CIS Track and Field Championships are set for this weekend in Windsor, Ontario, starting on Thursday and ending on Saturday. A total of 12 Athletics New Brunswick members will be representing their universities. Stephanie Doiron, of Collette, competing for Universite de Moncton, will compete in the women's high jump on Saturday at 2:30pm (5:30pm AST). Doiron comes into the event ranked 5th. Doirons teammate, Naomie Maltais of Val D’amour, will compete in the women's weight throw on Thursday. Naomie comes into the event ranked 8th after winning the AUS Championships last weekend. Chris Robertson, of Moncton competing for Western University, will compete in the pentathlon. He comes into the event ranked 12th. Matt McNeil of Saint John, competing for Dalhousie University, is set to compete in the 3000m. McNeil comes into the event ranked 12th after winning the AUS Championships last weekend. Sarah Taplin of Moncton also competing for Dalhousie will take part in the women’s Triple jump where she is ranked 8th. Shawna McKay, of Moncton, is a rookie for Dalhousie University will compete in the 300m where she is ranked 13th. She will also be taking part on the 4x200m for Dalhousie. Bridget Brennan of Beechwood will represent StFX in the women’s 4x400m, her team is currently ranked 4th in the country. Jonathan Gionet of Bathurst will compete for Saint Thomas University in the Shot put after winning the AUS championships last week. Jon is ranked 13th in the event. Sarah Myatt of Fredericton competing for the University of New Brunswick (UNB) will race in the 600m and 1000m where she is ranked 12th and 10th. Dan Brown of Hampton also competing for UNB will take part in the 300m after winning the AUS championships last week. Daniel goes into the event ranked 12th. Finally Luke Dillman who competes for UNB and is from Cole Harbour, NS will participate in the Weight throw where he is ranked 13th. Athletics NB is very happy to announce a great partnership opportunity for hiring of a new full time staff position being created in New Brunswick. The new position will assume the responsibility of provincial Coordinator forRun-Jump-Throw-Wheel (RJTW), youth road running and our new introductory competitive program to replace Hershey. The 2015 National Legion Youth Championships will be taking place in Ste Therese/Blainville, Quebec from August 7-9th and Athletics New Brunswick is seeking applicants for the Coach position. While most New Brunswick athletes were in action at the AUS Championships in Moncton, many others were in action at the other CIS conference championships across Canada. -Clare McGrath of Woodstock, competing for University of Ottawa, finished 13th in the 1500m with a time of 4:42.46, and won a bronze medal on her school's 4x800m relay team who finished with a time of 8:58.73, a CIS qualifying time. Clare had broke the provincial record in the 1500m just weeks ago. - Chris Robertson of Moncton, competing for Western, finished 6th in the pentathlon with a score of 3488, just 88 points off his provincial record set earlier this season. Chris ran the hurdles in a time of 8.71, jumped 6.53m in the long jump, 1.88m in the high jump, threw 11.66m in the shot put, and ran 2:57.25 in the 1000m. - Matt McLaughlin of Fredericton, competing for Windsor, finished 9th in the 300m with a time of 36.37 and19th in the 600m with a time of 1:25.30. McLaughlin had a breakthrough season in the 600m, breaking the provincial record with a time of 1:22.32 back in January. - Pierre Dumouchel of Saint John, competing for Laval, finished 8th in the 1000m with a time of 2:33.26, and 9th in the 600m with a time of 1:23.97. - Adam Gaudes of Fredericton, competing for University of Victoria, finished 8th in the 600m with a time of 1:21.69 and won a gold medal on his school's 4x800m relay team who finished with a time of 7:35.64. (MONCTON, N.B.) – Over 220 university athletes took part in the 2015 Subway Atlantic University Sport (AUS) Track and Field Championships hosted at the University de Moncton this weekend. A total of 9 Atlantic Universities competed for individual titles and team points. The competition saw great performances including 1 NB provincial record, 3 stadium records and 6 AUS Championships record. Sarah Taplin of Moncton (competing for Dalhousie University) not only set a new AUS record in the 60m Hurdle but also tied the New Brunswick record with a time of 9.15secs. She now holds the record with Angela Breau who had run the same time in 1994. Her teammate Shawna Mckay a rookie at Dalhousie University, from Moncton, won the 300m in a blistering time of 41.12secs. She was also part of Dal’s gold medal winning 4x200m relay team, and the 4x400m relay team who won silver. University de Moncton’s Naomie Maltais (Val d’amour) won gold in the women’s weight throw with a toss of 15.09m more than a metre better than the second place finisher. Sarah Myatt (Fredericton) running for UNB won the 600m by over 3 seconds, won the 1000m, was second in the 4x800m relay, 3rd in the 4x200m relay, and 3rd in the 4x400m relay. Sarah was then named female track MVP of the AUS conference. UNB’s Sydney MacDonald (Miramichi) closed off her rookie season by having a great championship. In the high jump, MacDonald finished with a season best and silver medal. She would add one more bronze medal via the 60m hurdles. Also competing for UNB Tess McDonald (Fredericton) added to her AUS medal collection by repeating as bronze medalist in the triple jump. She also ran a great leg on the 4x200m relay helping her team to the bronze medal and a new school record. Rounding out the 4x200m team with Myatt and McDonald were Anne Ugabi and Ashley Gallagher. UNB’s silver medal-winning 4x800m team consisted of Myatt, Cailie McGuire, Katie Robinson, and Nathalie Cecire. UNB’s bronze medal-winning 4x400m team consisted of Gallagher, McGuire, Cecire, and Myatt. The Women’s Team Title went to Dalhouse with 165 points, StFX was second with 106 points, then UNB with 56 points. The University de Moncton was fourth with 27 points, Saint Mary's was fifth with 13 points, Acadia was sixth with 11 points, and Saint Thomas was seventh with 2 points. Matt McNeil of Saint Johnrunning for Dalhousie Universitydominated the field to win the men’s 3000m in 8:30.54, One of the fastest times ever run in the UdeM facility. Matt Also finished 4th in the 1500m in 4:03.00 His Team mate David Kerrof Fredericton was able to capture a bronze medal in the mens’s weight throw with a toss of 14.25m. Jonathan Gionet of Bathurst became the first ever St Thomas athlete to win an individual medal at the AUS Championships after claiming gold in the men’s shot put with a throw of 14.35m. UNB’s Daniel Brown (Hampton, NB) continued to build and improve on his previous AUS championship results this weekend. In 2014, Brown was a bronze medalist in both the 300m and 600m. In 2015, he won the 300m in a time of 35.96s - just missing the AUS record of 35.85s set in 1993. Brown also won the silver medal in the 600m in a time of 1:21.79s. This 600m time broke the AUS & Fieldhouse record of 1:22.00 from 1992, but Brown was just edged out by Mackenzie Munro of StFX with a time of 1:21.68. Brown would add another silver to his medal haul as a member of the men's 4x400m team. Artabaz Nazari (Saint John) broke the UNB school record in the 60m en route to a silver medal running 7.01s. Nazari improved all year and can now hold claim to being the fastest to have attended UNB. Nazari would add to his medal collection with a bronze medal in the 4x200m relay. Off the track, UNB proved to be the top school in the weight throw taking the top two spots. All weekend the throws were loud and exciting with many throwers saving their best for last. However, in the end it was UNB's Luke Dillman(Cole Harbour, NS) winning the event with a best throw of 14.57m and setting a new UNB record in the process. Teammate Brad Carragher (Charlottetown, PEI) definitely made Dillman work for it, as he finished second with a best of 14.33m, a difference of only 25cm. Brown and Dillman will extend their season as they have qualified for the CIS national championships in Windsor March 12-15. Brown will compete in the 300m and Dillman in the weigh throw. -Jordan Johnson (Canterbury, NB) earned a silver medal with a best of 1.91m in the high jump. -Kyle Ancheta (Fredericton, NB) won the silver medal in the triple jump with a best of 12.43m. - Evan Grant (Rexton NB) and Troy Wilson (Woodstock, NB) each won bronze medals in the pole vault competition with a best clearance of 2.85m. They now co-hold the UNB school record. UNB first year Ben Fowler(Grand Bay-Westfield, NB) had a busy two days taking part in the pentathlon and individual 60m hurdles. In the pentathlon, Fowler achieved a senior event score personal best of 2828pts to finish in 6th place but bounced back the next day to earn himself a bronze medal in the 60m hurdles. UNB’S silver medal winning 4x400m team consisted of Brown, Jonathan Bunn, Mike Whitcomb, and Jeff Retallick. The bronze medal winning 4x200m team consisted of Nazari, Whitcomb, Retallick, and Jake Hayes. Dalhousie won the AUS team title with 148.5 points. UNB was second with 96. Last year’s champions, StFX, were third with 87 points, University de Moncton was fourth with 35 points, Saint Mary's was fifth with 20 points, Acadia was sixth with 9.5 points, and Saint Thomas was seventh with 9 points. Sarah Myatt (Fredericton, N.B.) a fourth-year student-athlete from the UNB Varsity Reds was named female track athlete of the year. Fifth-year Dalhousie student-athlete Rebecca Haworth (Waverly, N.S.) earned female field athlete of the year honours for the second consecutive year, while Dalhousie's Jordan Bruce (Dartmouth, N.S. ), a third-year arts student, was named male field athlete of the year. AUS rookie of the year honours went to StFX's Hayley Wilson (Skye Glen, N.S.) on the women's side and Dalhousie's Joshua Lunda (Cole Harbour, N.S.) on the men's. Haworth also claimed the women's student-athlete community service award for the fifth consecutive year. She is the founder of Dalhousie's Special Tigers Sports Program which runs events where youth with intellectual disabilities partner with Dalhousie student-athletes to share their love for sports. Aigles Bleus team captain Alexandre Coholan (Moncton, N.B.) was the recipient of the men's student-athlete community service award. Coholan volunteers as a first-year students mentor at University de Moncton. He also volunteers for an array of other organizations, including, but not limited to, the Greater Moncton Dragon Boat Festival and the Georges-L.-Dumont University Hospital Centre. Coholan also gives anti-bullying awareness presentations to local high schools on the topics of discrimination, intimidation and homophobia. Dalhousie's Chantelle Robbertse (Burlinton, Ont.) was named Subway athlete of the meet on the women's side. She claimed gold in the women's long jump and the women's pentathlon. Chas Smith (Warwick, Bermuda), also from the Tigers, earned Subway athlete of the meet honours on the men's side. He earned gold in men's long jump and men's triple jump and bronze in the men's high jump. Head coach of the Dalhousie Tigers teams, Rich Lehman, earned AUS coach of the year honours on both the men's and women's side. Complete results from this weekend's championships can be found on the AUS website at atlanticuniversitysport.com/sports/wtrack/2014-15/files/aus_champs_2015_complete_results.pdf.